Deal of the Week!! SOLD! Deal of the week is sold! Here we go again. As you know, the deal of the week debate is a complicated and contentious ordeal. Every week, generally at the very last minute, we walk around bickering about objects we despise or are just sick of. This time, this poor chair that has been on death row since day one finally reached the chopping block. Why has it taken so long, you might ask? Well, mainly because we are split on hatred for this chair. I won’t mention any names or take sides……..except to say this, I love this chair and I am, quite frankly, in the right on this one. Okay, I know, this chair is not for everybody. It is unique and is of quite a vivid hue. 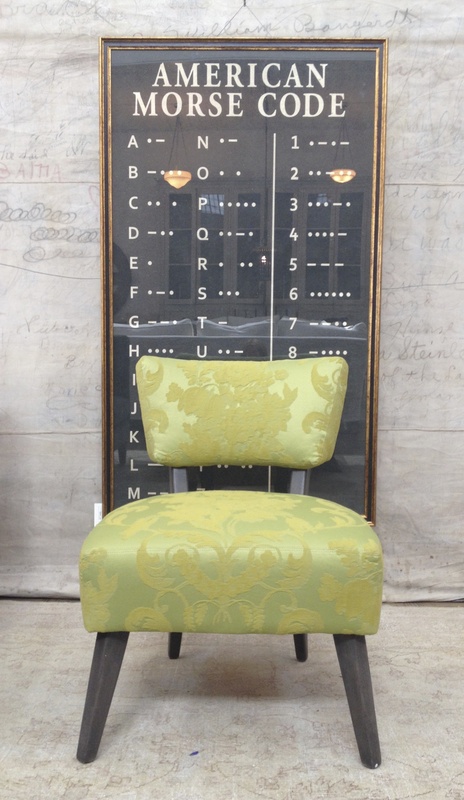 We call it “the lime green chair”. I know, we are great with creative monikers–something we take extreme pride in–and obviously this name is a raging success. It has an unmistakable 50s/midcentury vibe. 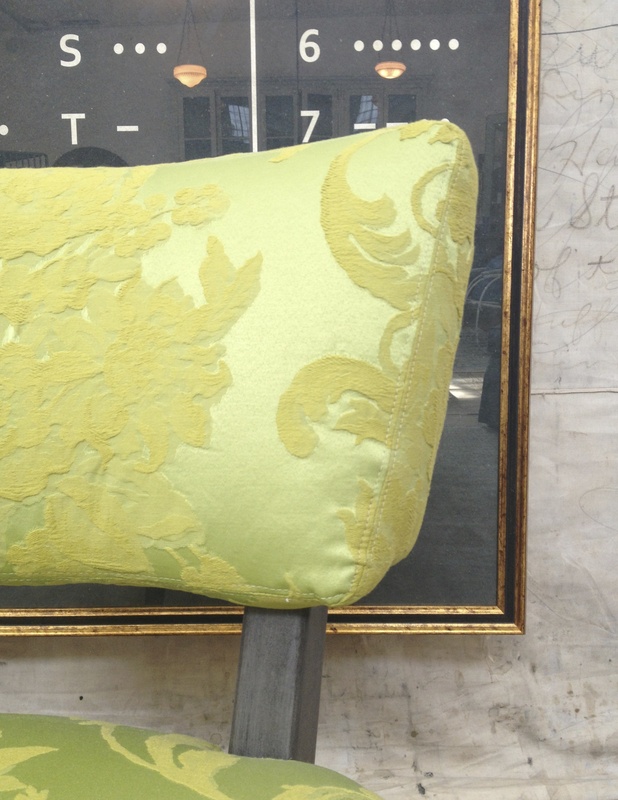 It’s upholstered in a lime green damask fabric from which it takes it’s name. 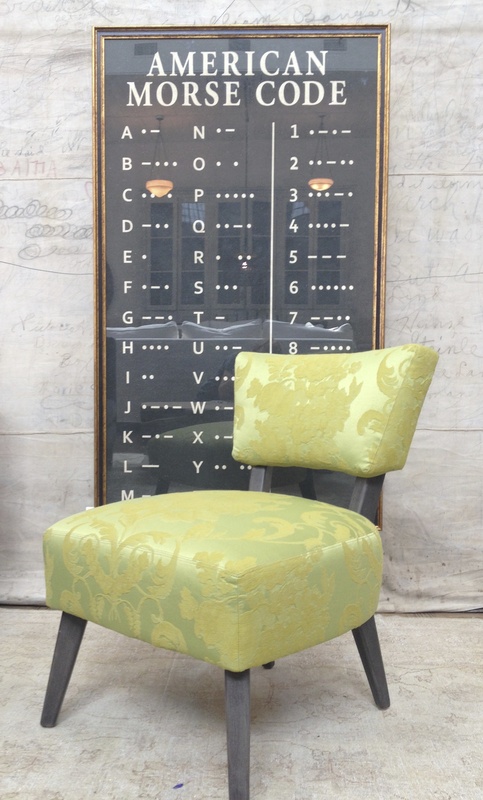 It’s a small scale chair that can be tucked into a corner and yet still make a statement. One of the cooler more surprising details is its wood frame which is stained grey. I will miss this chair. It adds a little pop of color in each vignette it’s placed in. (I hate both of the words “pop” and “vignette”, and I apologize for using them, and both in one sentence no less). One more note – the artwork is not included, but don’t you wish it was? patti, i do love this chair as well/ great color & size / not in my pricerange these days/ but just wanted to let you know what a great job you are doing and superb finds you have stocked. hope to come by soon in the summer philip k.